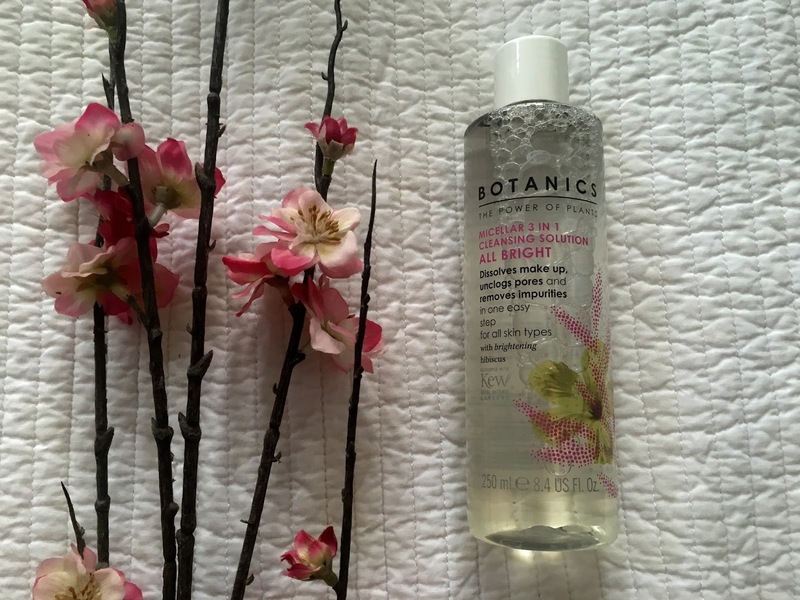 I'm proud to say I'm still on the micellar water hype because I just can't get enough of the stuff! I think it's amazing for those mornings or evenings when you are in a rush or too lazy to do the usual skincare routine. 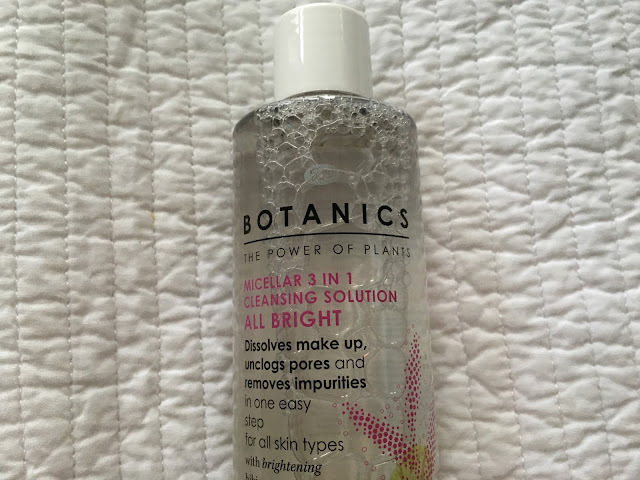 I've tried lots of different brands and I was excited to try this new one from Botanics All Bright range. The product does exactly what it says on the tin (or should I say bottle). 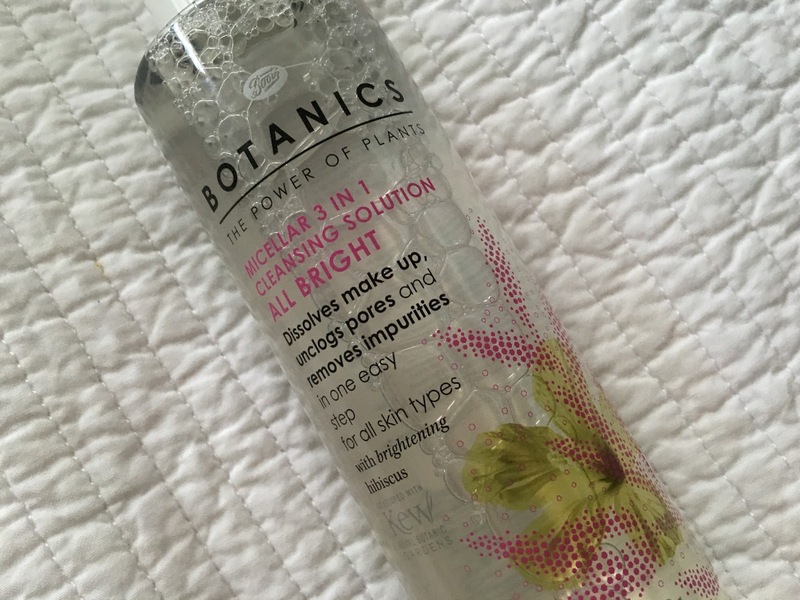 It's formula takes off any makeup or dirt from your skin and leaves you feeling clean and fresh, and it doesn't leave any residue which is brilliant! I prefer to use cleansing waters in the summer because I find cleansing milks or creams too creamy for warm days. 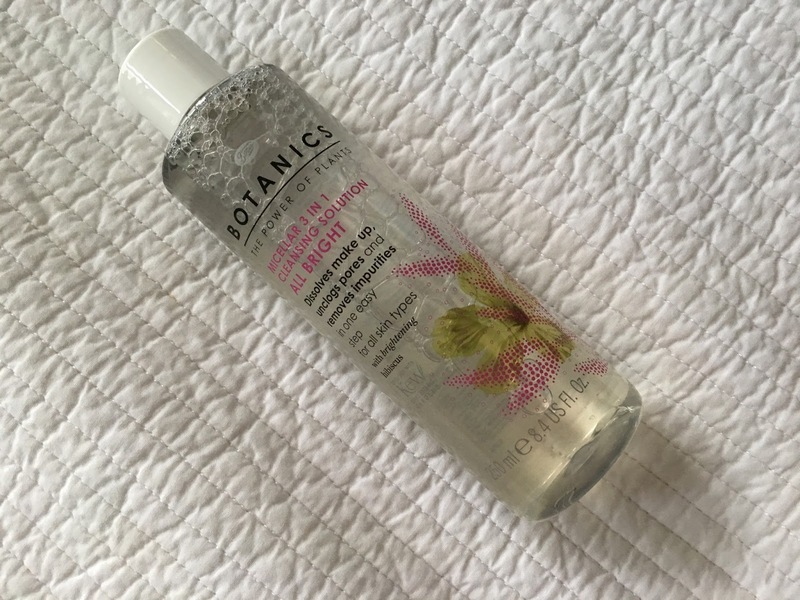 This micellar water contains hibiscus which aims to brighten your skin. This is another lovely element from this product and this is the reason that I will be taking this on holiday with me this year! A cleansing water that removes impurities, unclogs pores and brightens skin - what more do you need? The brilliant thing about this product too is it's cheap price! 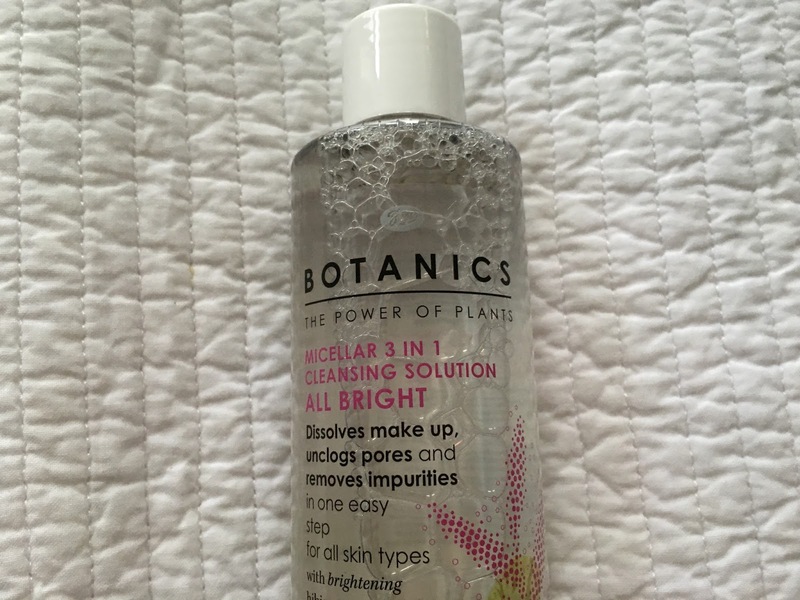 The Botanics All Bright Micellar Water is always on offer in Boots and only £2.24 at the moment - an added bonus! Are you still on the micellar water hype with me?